My scarlet runner beans are looking pretty dismal. I have looked in many places on the web for insight on what may be going on. All of the pictures of these vines on the internet show a lot of leaves, looking green and lush. Mine is certainly not like that. There have been times I have has a lush bush of leaves, but then they seem to turn brown, dry up and fall. As you can see by the two pictures above. These were taken 20 days apart. Now the same area that was green and full, is all dried, dead leaves. Comparing the earlier 3 pictures to the ones I took today. You can see the brown on the mature leaves. I was thinking it was some type of disease, but I know very little about that type of thing. I hope someone can give me some insight. It seems like I am going to lose the whole bunch. Although this is not a huge issue, I had hoped to have a nice vine in that corner for the summer, to lure in honey bees, humming birds and the like. Oh, that does not look good. I hope you find a remedy! 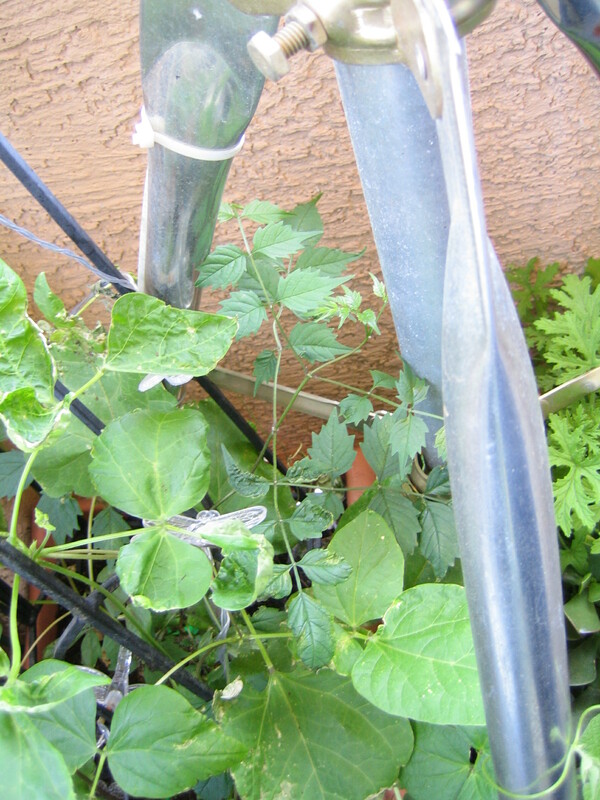 Well more research and I found out that it is a bacterial blight, and the vines need to be removed. 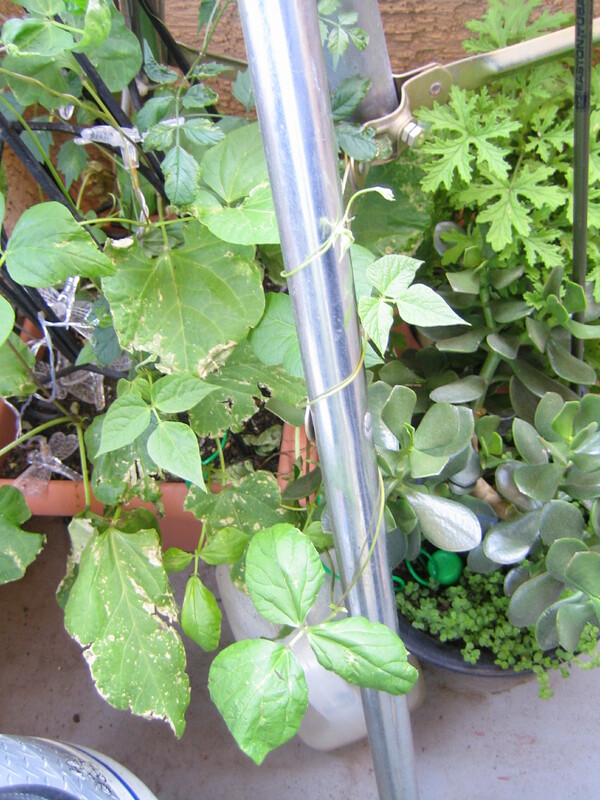 I have no other bean plant, so I am not as worried about it spreading, although it can, and will. 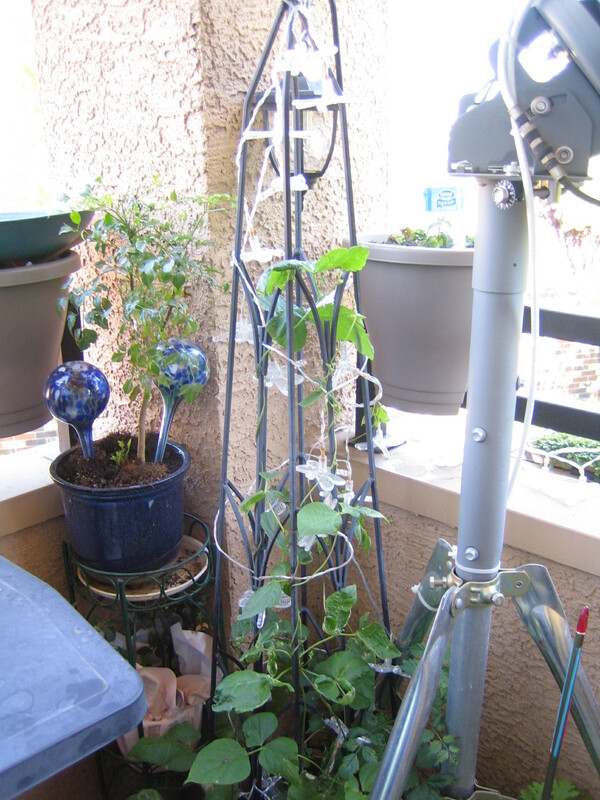 I have removed the vines, and will be watching the rest of the plants to see how they all do. It is too bad, but at least I was only growing them for the looks and to tempt humming birds to my deck. I will look for something better. Maybe morning glories will do well. I have a few of them in a pot, I will see how they do. 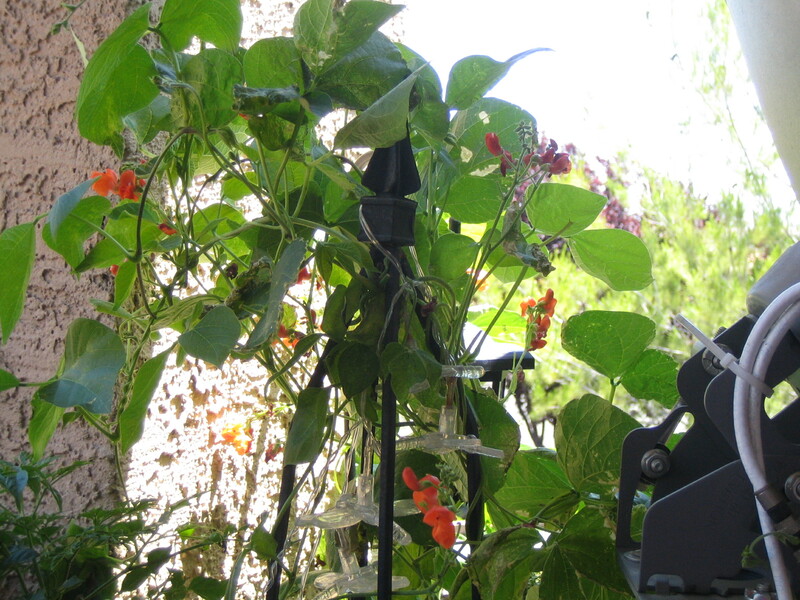 I have been in contact with Renee’s Garden, where I got the seeds for the scarlet runner beans. They are going to send me some seeds to make up for the issue. I rather seeds then a refund, which was offered. The biggest concern was that the supplier may have had blight. They are going to research the inspections on the seeds from their grower. It is of a low probability that the blight came from the grower. We have been looking into other options for how this got to my container. It is possible that it came as and air born issue, carried on the wind from a neighbor. It is not particularly likely though, as I am one of the few gardens of any kind in the area. No one really plants on the decks, and the few neighborhoods with ‘homes’ are pretty far away. Another option is I got contaminated soil. I spent some time thinking about this. I think this is the likely culprit. One of the bags of soil we used on this deck was a no name brand, that I recall had some spots of a light gray dry dust, that could have been a mold. I didn’t think anything of it at the time. Now I believe I should have. I am very happy with Renee’s Garden’s response. I even received one of the e-mails today on a holiday!!!! They have been very upfront about the suppliers and inspection process of seeds. I am feeling pretty confidant that they are not one of the possible reasons for this blight.